At Textstr, our experts aim to create the most attractive and user friendly mobile chat stream. Bringing real actionable data to the chat industry. Live chat, as we know it, is evolving and the current state of technology has not yet adapted to the growing demand in mobile. Textstr was founded by Andrew Metcalf, who held a position as Chief Marketing Officer at Adworkz. Launching his official marketing career with The Cobalt Group/ADP at age 19, assisting in program management for major OEMs to brand and account management across multiple regions. Specializing in product development and execution of national to local marketing campaigns tailored around simplicity and innovation. 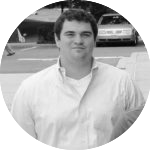 Andrew has consulted and advised multiple start ups in the Seattle, Spokane and San Francisco region. With a wealth of experience in technical coding and start up technology. 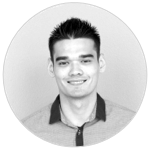 Nicholas has served as CTO and developed multiple technology offerings for companies from start up to fortune 500. Nicholas graduated from Cornell University, with a degree in Computer Science. Concentrations in Large-Scale Information Systems and Computational Graphics.